Exists since 1990 and over the last years has been steadily modernized and expanded. In 2013 camping activities were added. Stands for motorhomes , campers and tents were built as well as modern sanitary installations. In the season many bikers come to us. We offer as well a bungalow for max. 4 persons and two small one person houses. In the house we have 10 double and triple rooms. In July and August in the price of the room breakfeast is included. 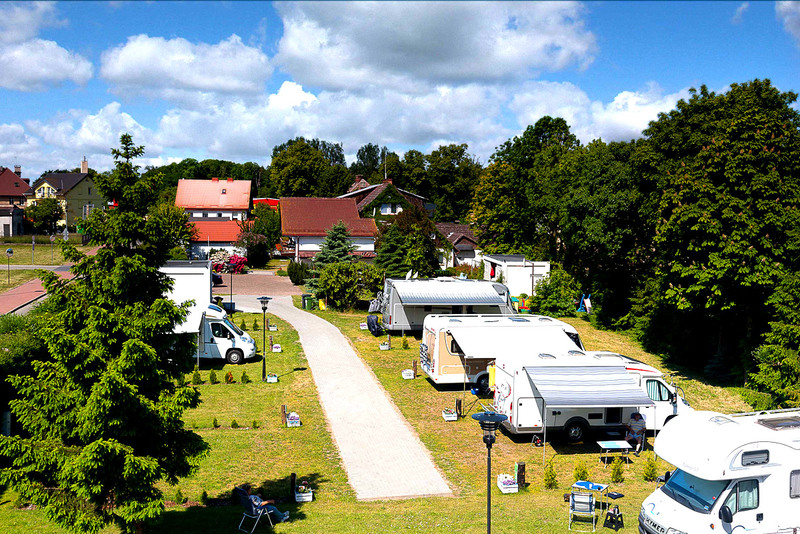 The camping area is fenced, well lighted and video supervised; parking for guest is available. There is a playground for kids with a large trampoline.